1-Place the canvas on the wall where you want it to go. Mark the placement of the canvas with a pencil. 2-Hammer two nails (or drill holes, insert wall plugs and then large flat head screws) into the wall on either end of the marked areas. 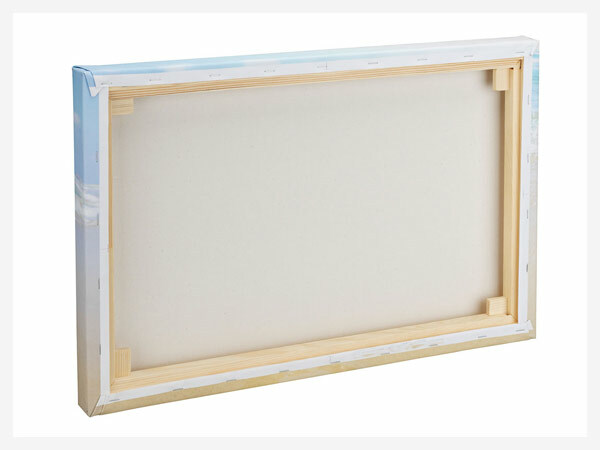 Make sure to account for the lip of the canvas, which is 2 inches. 3-Place the canvas on the nails.Use sticky tack, if necessary, to hold the canvas in place and prevent it from hanging crookedly. Visit Our Online Store now to browse our Canvas Art selection or Upload Your Photo and create your own!